Wide Range of Options: Dedicated Lines, Voicemail Trees, Custom Greetings, Message Forwarding, Informational Recordings, etc. 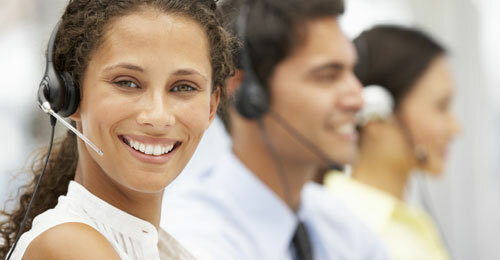 LaBell Exchange offers Southern California reliable and affordable voicemail services. We have almost 40 years of experience working with businesses in property management, healthcare, legal, and service industries, making it easy for them to receive and manage calls 24 hours a day. Our voicemail services can be part of a larger telephone answering package or a standalone service is less expensive than our live operator service. Investing in our voicemail service helps our clients appear more professional and well established. When you sign up for voicemail, you'll be provided your own personalized voicemail account that can be customized with unique greetings and/or voicemail trees. All messages are kept secure on your voicemail account until you access them. Messages can be checked at any time and from any location, or forwarded via email, text message, or fax. Our voicemail service can also be combined with live operator services with or without an automated attendant. An automated attendant serves as a virtual receptionist and is usually paired with a voicemail tree that allows callers to listen to a greeting before selecting from a number of options to connect them to a specific employee or department. Voicemail trees can also be designed to include informational recordings that state your organization's hours, location, and who to contact in the event of an emergency. LaBell Exchange always uses the latest telecommunications technology to ensure our clients have access to the most up-to-date features for your business. Our operators are carefully selected, proficient in English, and thoroughly trained. Among our staff are also several bilingual (English and Spanish) speakers. To learn more about our voicemail and phone answering services, call LaBell Exchange today. We serve the entire Southern California area, including San Diego, Orange County, and Los Angeles.